The KTM 690 Enduro R is one of the most popular off-road adventure-light motorcycles available on the market today. Starting with the 2008 model year Konflict has developed comprehensive packages and services tailored to the 690 Enduro with off-road use in mind. We set off to develop the highest performing suspension kit available, and the results lift the KTM 690 Enduro R to new heights of off-road capability. With our KTM 690 Enduro Works Kit you gain more travel, better compression dampening, and rebound control as well as a spring pre-load adjuster. This tied with our KM2 Level (or higher) re-valve kit with custom settings for your riding ability, terrain, and weight makes this kit infinitely adjustable and a drastic improvement over other applications. X-Trig LC4 Pre-load Adjuster or Konflict Motorsports Adj. 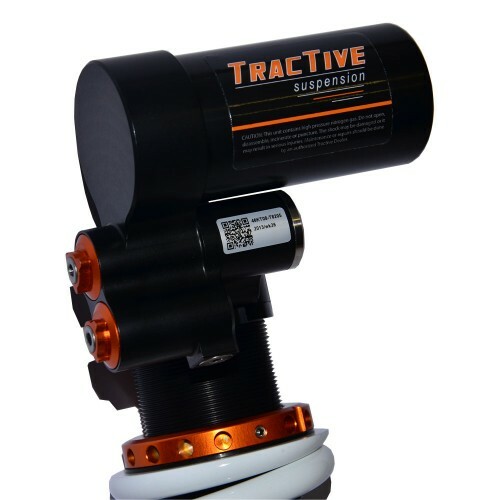 This high-performance replacement shock is produced by Tractive in Sweden for Rally Raid and available to the US market through Konflict Motorsports. X-Trig adjusters for mid-size Adventure bikes now available!